Super competent agent! 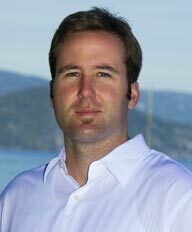 Mark reallys knows the Tahoe area, and he was extremely responsive and helpful at every step of the process of shopping, negotiating, and closing on a new home. In our case Mark was both the selling and buying agent, and yet we felt very comfortable he was representing our interests at all times, including pointing out things we missed that we could negotiate on to improve the final deal. I love working with competent and sharp people, and that’s definately who Mark is. Plus, he’s a really nice guy and easy to work with. Highly recommended that you use him.